See the Field Trips page for details. Join the fun at the Iowa Ornithologists' Union spring meeting at Lacey-Keosauqua State Park, May 3-5th. See more details on the IOU page. See Black-necked Stilts mating at Sweet Marsh. 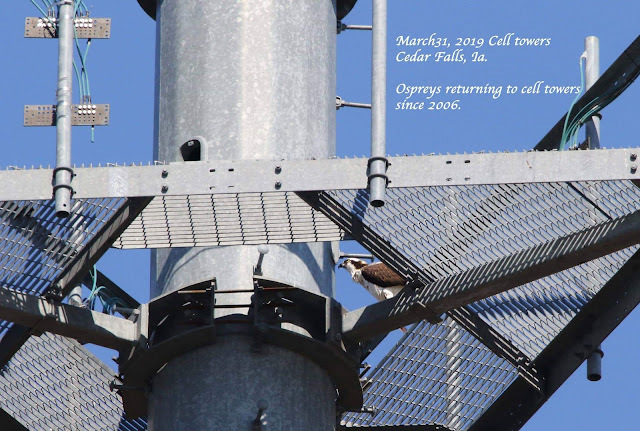 These birds are not always readily seen in Iowa, so seeing breeding behavior exhibited is a good sign that the right habitat is present for this species. A number of years ago, this species was also verified as nesting with fledglings near the new Legacy Wetlands in Hardin County. -- Video courtesy of Kip Ladage; observations by Darrin Siefken and Kip Ladage. Join us at the lake to celebrate Earth Day! Hartman Reserve will be providing kayaks, canoes, paddles, life jackets, fishing poles, and tackle so you can get out and explore the lake. Bait will not be provided for fishing—please bring your own bait. Fishers over 16 must have a fishing license. Equipment is first come, first served, so get there early! 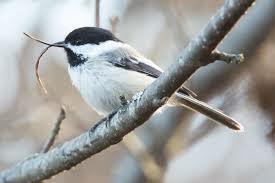 The Prairie Rapids Audubon Society, will be guiding bird walks at 1pm, 2pm, and 3pm. Feel free to bring your binoculars, otherwise we will have some you can borrow! As part of the 25th anniversary celebration of the Fontana Interpretive Nature Center of Buchanan County, a special exhibit titled “Ding Darling: One Man, Many Visions” will be on display at the center through May 31. Curated by Sam Koltinsky, director of the Jay N. Darling Center in Des Moines, the exhibit features artwork and personal artifacts of Ding Darling. Learn about the Iowan who became one the twentieth century's most influential conservationists. While working for the Des Moines Register, Darling was awarded the Pulitzer Prize two times (in 1924 and later in 1943) for his editorial cartoons. He initiated the Federal Duck stamp program and designed the first duck stamp, and he was instrumental in founding the National Wildlife Federation in 1936. Tuesday, June 25, 6-9 p.m. Experience nature afresh and explore plants, animals, minerals, and the great outdoors as a way to reconnect with your creative inner self. This mini retreat is held at the Cedar Valley Arboretum and includes guided writing and journaling, walking exercises, and time for reflection and sharing. Clip boards will be provided or you can bring your own journal. Click here to register. This course is sure to be of interest to all who love nature and find solace and healing in experiencing it. Plus, this course, is taught by long-time PRAS member, Susanna Schuerman! At our January 2019 PRAS program, Ken Heiar presented a fascinating program about the different shaped beaks that birds have. During his program Ken also showed us photos of birds with odd looking beaks...there is a condition called avian keratin disorder (AKD). AKD is characterized by debilitating beak overgrowth and other abnormalities of keratinized tissues. Affected birds have difficulty feeding and preening, and may suffer high rates of mortality. If you see a bird that has an oddly formed beak, please report it to help advance scientific knowledge. Here is the link to report your observations to the research team on the Beak Deformities in Landbirds website. We share information about field trips, local sightings, fun and interesting photos and stories about birds, nature, the environment, etc. on our Facebook page. Check it out and like us and "share" our posts.